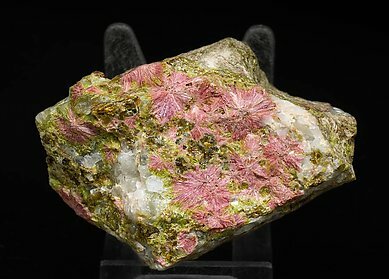 Really extraordinary Clinozoisite specimen. Crystals are showing very sharp faces and edges, good transparency and color and on matrix. 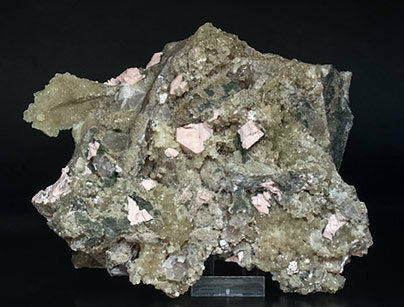 This piece is accompanied by the analysis that certifies this is a Clinozoisite specimen, not an Epidote. Bundled aggregates, on matrix, of bright acicular crystals with a slightly greenish brown color. The sample, as is written on the back of the Emringer collection label, is from a unique find at the locality so the sample must be considered as a rarity. 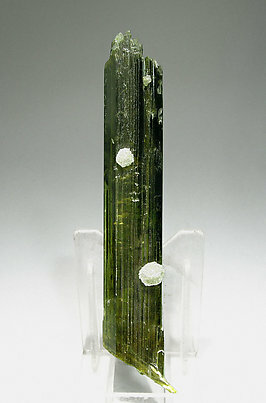 Parallel growth of two crystals with multiple and transparent terminations, with a very deep green color. On the Clinozoisite crystals we can see small white Calcite crystals. We’ll send a copy of the analysis to the buyer. 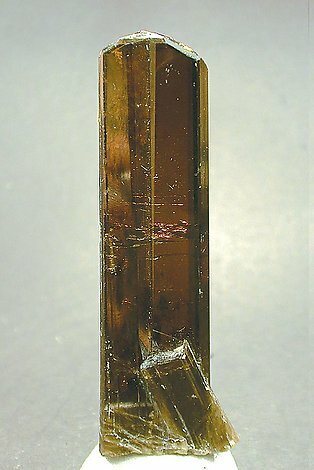 An exceptional prismatic crystal on matrix of this species, with Calcite and Byssolite, which one of the ends of the crystal changes to. 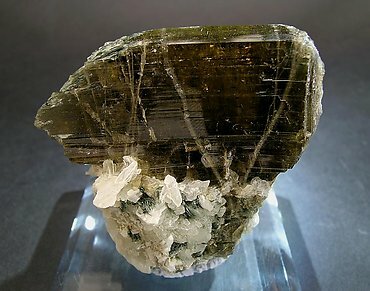 The compositional difference between Epidote and Clinozoisite is very little. Only by an individual quantitative analysis of percent of Aluminium and Iron can determine the real specie. We will deliver to the buyer a copy of the analysis. 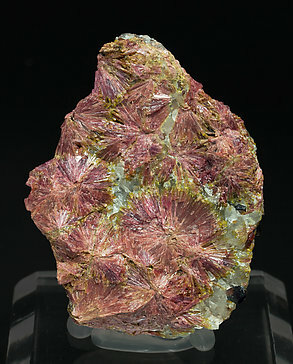 Radial aggregates of acicular crystals with intense pink color, a shade that is well known but uncommon for the species. They are on a matrix with Quartz and garnet (probably Grossular). The sample is with its Folch collection card and the Burminco (George Burnham) label that we'll send to the buyer. 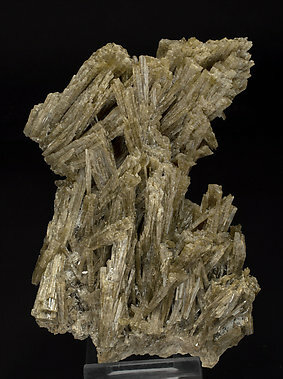 Radial aggregates of acicular crystals whose chemical composition is between Clinozoisite (dominant) and Epidote. 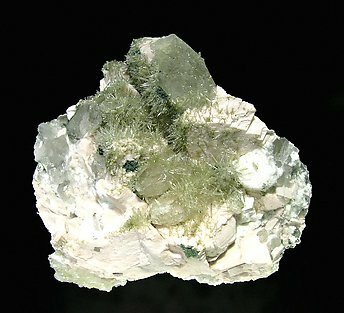 The crystals are implanted on a matrix partially coated by clear green Prehnite aggregates, Orthoclase and Quartz crystals. The sample is from a large famous find in 1999 at the La Saludadora Quarry. 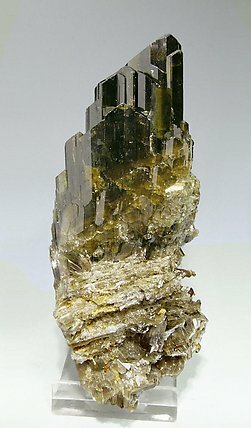 Groups of acicular crystals of Clinozoisite-Epidote, clear and very bright, on a matrix of Orthoclase, mosaic growths of Quartz crystals and Albite.